We review the new Sony Cyber-shot RX10 Mark II with high speed video and stills shooting as well as 4K video. 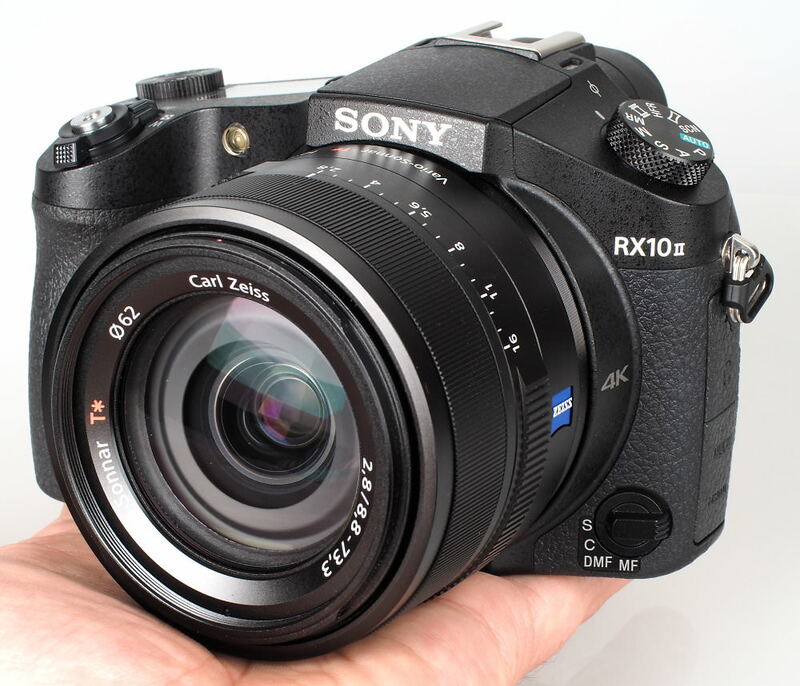 The Sony Cyber-shot RX10 Mark II features the World's first stacked 1.0 inch BSI CMOS sensor with a DRAM memory chip. The camera features 40x Super Slow Motion Capture, 4K Video Shooting, High-speed Anti-Distortion Shutter, and 14fps continuous shooting. The RX10 Mark II updates the RX10 (Mark I), with a new sensor, plus an improved electronic viewfinder (EVF), with a high resolution of 2.36million dots. 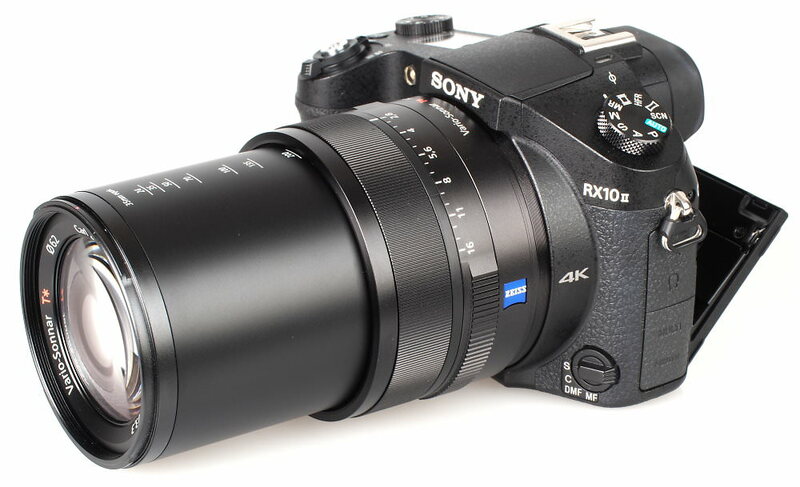 The RX10 Mark II's main features remain the same, with a Carl Zeiss Vario Sonnar T* 8.3x optical zoom lens, equivalent to 24-200mm in 35mm terms, and a constant f/2.8 aperture, however there is now a new sensor, that offers high speed shooting, as well as 4K and high speed video recording. High speed video has been available on digital cameras previously, such as the Casio Exilim FC100 offering 1000fps however, this has been at a greatly reduced resolution (240x64 pixels), and more recently with the Nikon 1 J5, which offers 1200fps video at a resolution of 416x144. The RX10 II offers 1000fps at an impressive resolution of 1136x384, and this resolution increases if you select 500fps or 250fps video. 4K video recording is available at 25fps with optical zoom and stereo sound available, and you'll also find microphone and headphone sockets on the side. High speed video is available at 250fps (1824 x 1026), 500fps (1676 x 566) and 1000fps (1136 x 384), for a limited amount of time, which can be extended when shooting at a lower resolution. The camera has a weather-sealed body that resembles a Digital SLR, and a weight to match at 755g (body only). 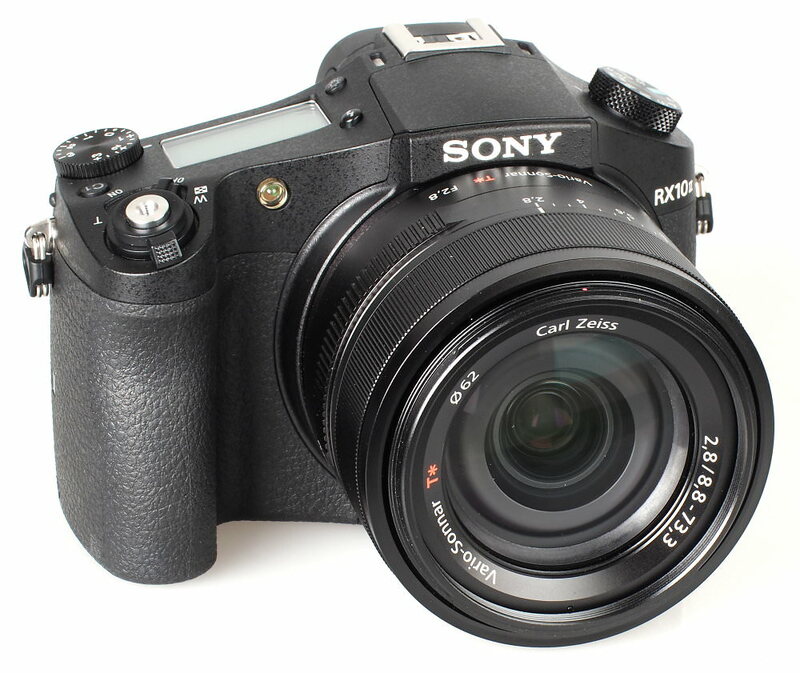 The camera features diffraction-reducing technology, designed to maintain clarity even when using smaller apertures. 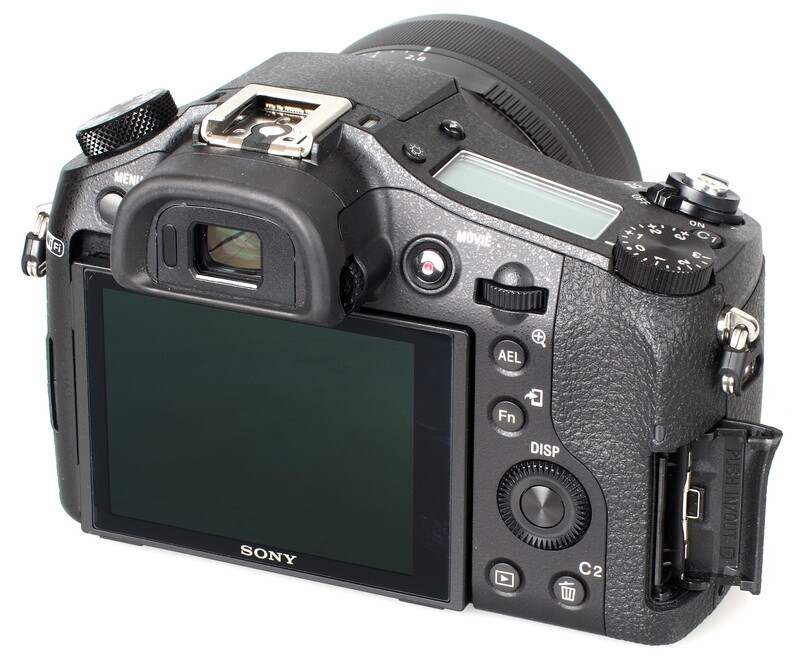 There is side access to the memory card slot, which accepts either Sony Memory Sticks or SD/SDHC/SDXC cards. 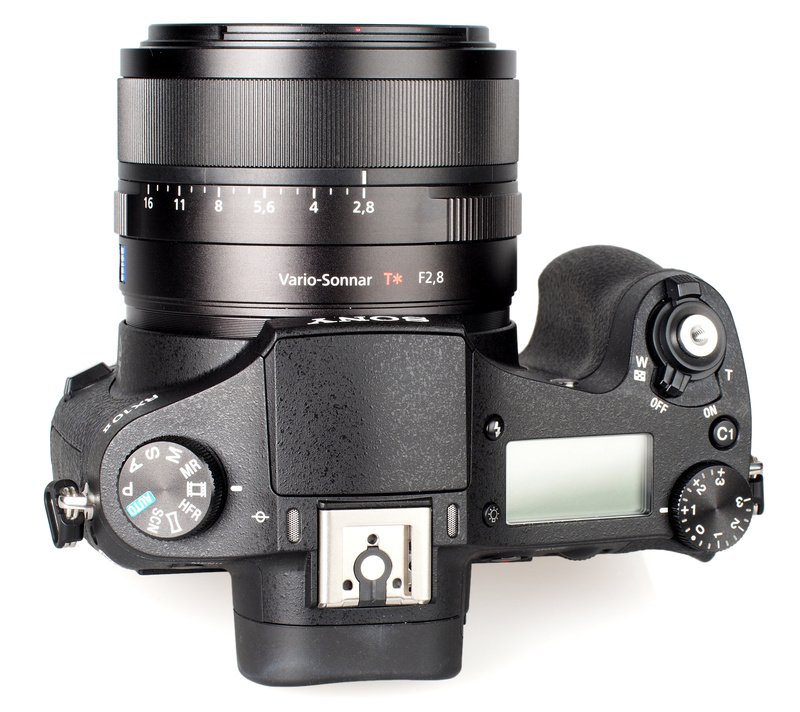 The rear features a 3inch tilting screen, as well as a 2360k dot electronic viewfinder (with eye-detection sensor), and rather uniquely for this style of camera, on top is an LCD screen much like you would find on a mid to professional range Digital SLR. Wi-Fi connectivity and NFC is included, letting you remotely control the camera, and you can add additional features to the camera using Sony PlayMemories apps, which can be downloaded over Wi-Fi. 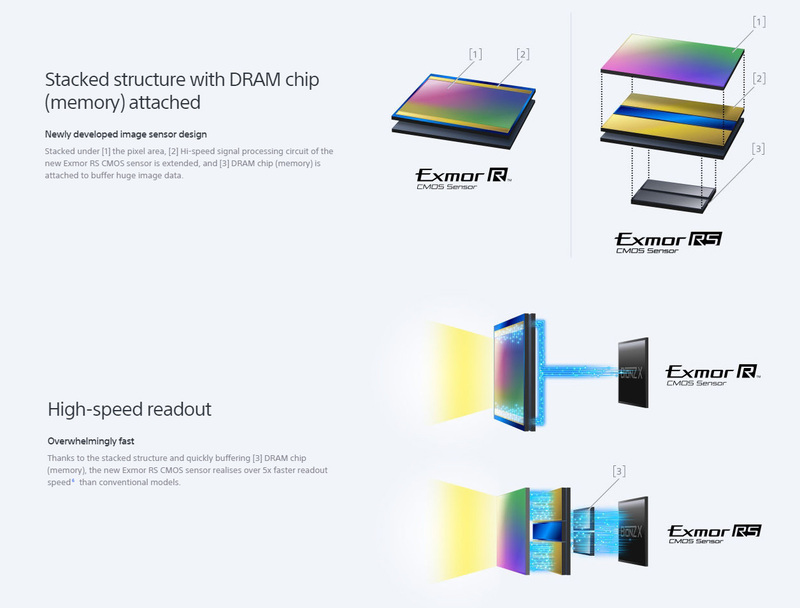 Physically, very little has changed between the RX10 and RX10 Mark II, with the Mark II featuring an updated mode dial, with one custom mode (instead of two), and the addition of a "HFR" mode, which stands for High Frame Rate (Video). The delete button is now customisable as the second custom button (C2), and the top custom button is now labelled as C1. Handling is good with the camera featuring a large rubber hand grip surrounding the right hand side where you hold the camera, and on the back this continues all the way round to where there is a shaped area for your thumb to grip. Above the thumb is where you'll find the exposure compensation dial. If you hold the camera with two hands, which is recommended due to the size and weight of the camera, then the left hand side of the camera (viewed from the rear) also features a rubberised grip that goes round to the front of the camera. On the lens is the zoom ring, plus a manual aperture ring. 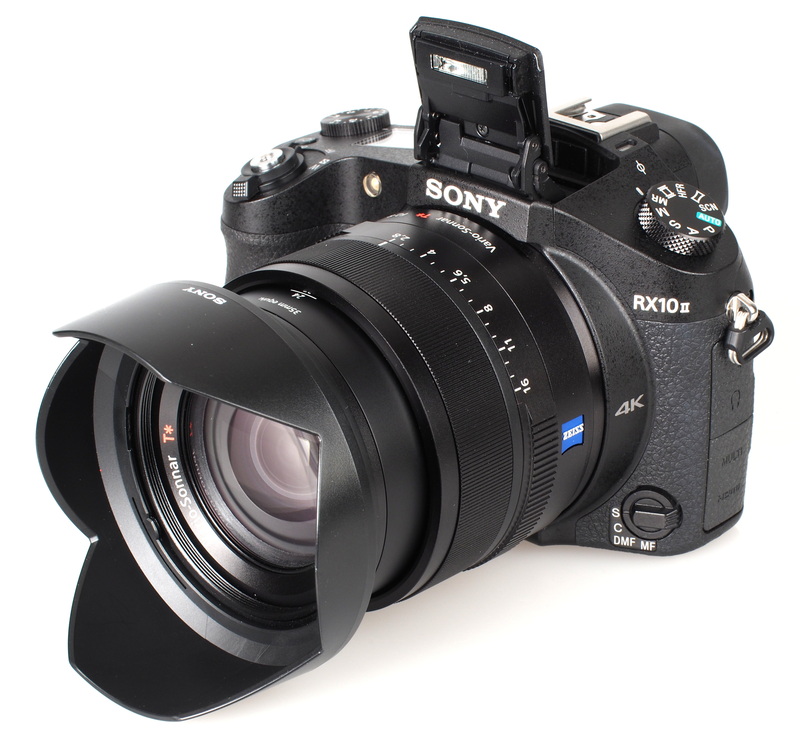 The zoom ring controls the power zoom lens, and the aperture ring lets you set the aperture between f/2.8 and f/16, making the camera feel like a more traditional camera. In addition the aperture clicks can be switched off, letting you smoothly and silently change aperture during video recording. You can set the shutter speed using the rear scroll wheel, for manual control over exposure. The top left of the camera features the mode dial, and the camera even features a sensor plane marking so you know where the sensor sits in the camera. The Sony multi-interface hotshoe means the camera is compatible with a number of Sony accessories. A small pop-up flash is included, as well as a good size LCD screen (with illumination button next to it), which gives shooting information, as well as remaining shots and battery life. 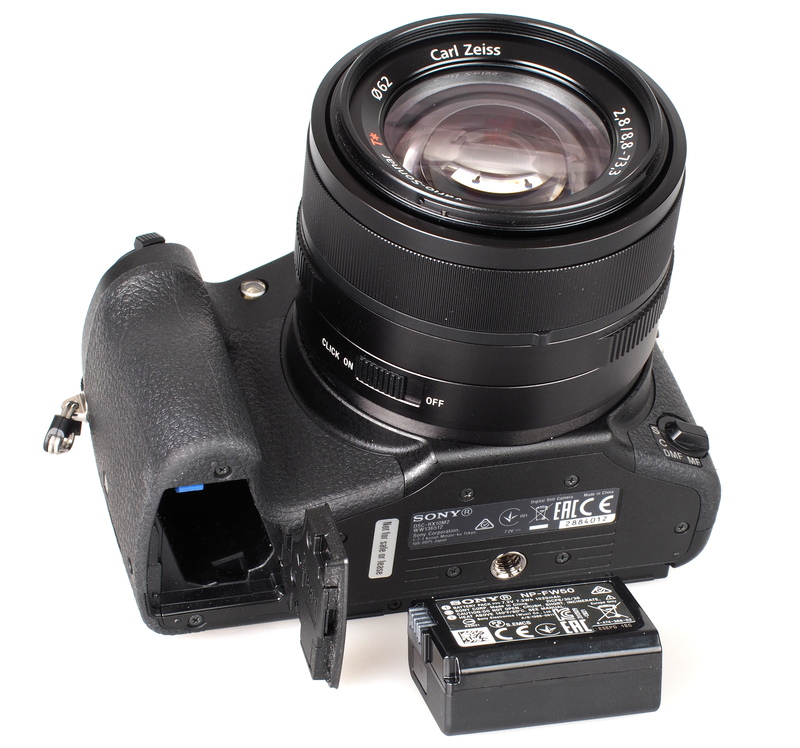 The shutter release features a thread for a screw in shutter release cable, and there is a zoom rocker surrounding the shutter release button, with the on/off switch behind. On the back, the tilting rear screen has a high resolution, and is clear to see, with a recessed gap to make it easier to pull the screen out when you want to tilt it. The electronic viewfinder features a 2360k dot resolution, dioptre correction, as well as an eye-detection sensor so that when it's held up to your eye it will automatically switch to the viewfinder. The viewfinder is clear and bright and updates smoothly and is of a good size, even when wearing glasses. The menus are clearly laid out and resemble the menus from other Sony Alpha cameras, making it easy for anyone familiar with another Sony Alpha camera to switch over to this camera. The function button brings up a set of options on screen, that can be quickly changed without having to go into the menu system, and these options can be customised. On top is a custom button that can be customised, and the 4-way direction pad on the rear can also be customised, along with the AEL button, C2, and control wheel on the back. The focus point can be set over a wide area of the screen, almost into the far corners, although this would be made easier if the screen was a touch-screen. Wi-Fi features - As will other recent Sony cameras, the body features NFC (Near Field Communication) and built in Wi-Fi so that you can simply touch the camera to a compatible NFC enabled smartphone to setup the connection. The Sony PlayMemories Mobile app will then allow you to remotely control the camera, as well as download and share photos from the device. Battery life - Battery life is rated at 400 shots according to Sony / CIPA test results, which is very good for a camera of this type. Although there is on a USB charger provided, so we would recommend a spare battery. It needs a bigger sensor. I had seriously considered buying the mk.1 version of the RX10, but when I actually saw it at Jessops I nearly fell over backwards. The thing is as big as a DSLR! As a matter of interest I measured one of my little finger nails which was 9x13 mm. - - - almost exactly the size of the "large" sensor in this camera. It's undoubtedly an excellent camera but I'm sceptical about the ability of such a small sensor to resolve landscapes - - - my MFT CSC needs all the help it can get. Anyway, if I had been willing to carry something that size around all day, I would have gone for a DSLR in the first place.